As a general rule, I believe a President has the right to choose the members of his Cabinet, and only in extraordinary circumstances should such a nomination be filibustered. I oppose Senator Hagel’s nomination, but I cannot join in a filibuster to block each Senator’s right to vote for or against him. Who else agrees with Collins? I bothered a few senators who, generally, are disinclined to pitch fits over nominees, and I got inconclusive answers. Sen. Orrin Hatch also hesitated to answer. “I’m not there yet” on cloture, he said. But both Isakson and Hatch preceded their comments by reminding me that cloture had yet to be filed on Hagel. It was a strange kind of caveat—when a nominee makes it out of committee, cloture on the nomination isn’t a wild hypothetical question. My theory? Not all Republicans are as theatrical as Lindsey Graham. They are cool to the idea of an “unprecedented filibuster” of a Cabinet-level nominee. But if they can reframe the filibuster as something else—if it’s merely a delay, and they can talk about approving him later—well, then, they get the recess to beat him up (or completely fail to beat him up, as happened this weekend) or beg the White House for more, more, more Benghazi information, like the president’s exact actions on the night of the attack. 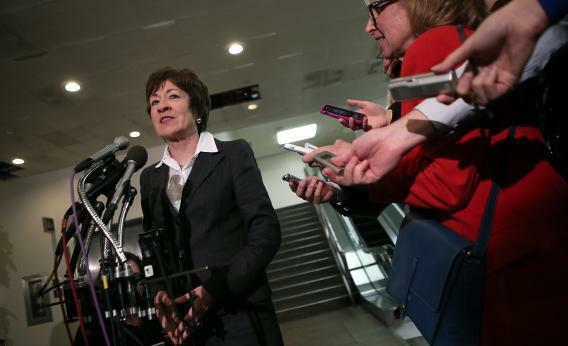 As loath as the White House is to discuss that, senators seem to think they’ll get something. I asked McCain whether the White House had given him anything on Benghazi since he resurrected the filibuster threat. “Not yet,” he said, “but I’m optimistic.” Sen. Carl Levin, asked whether the McCain questions were fair, shrugged and went along.